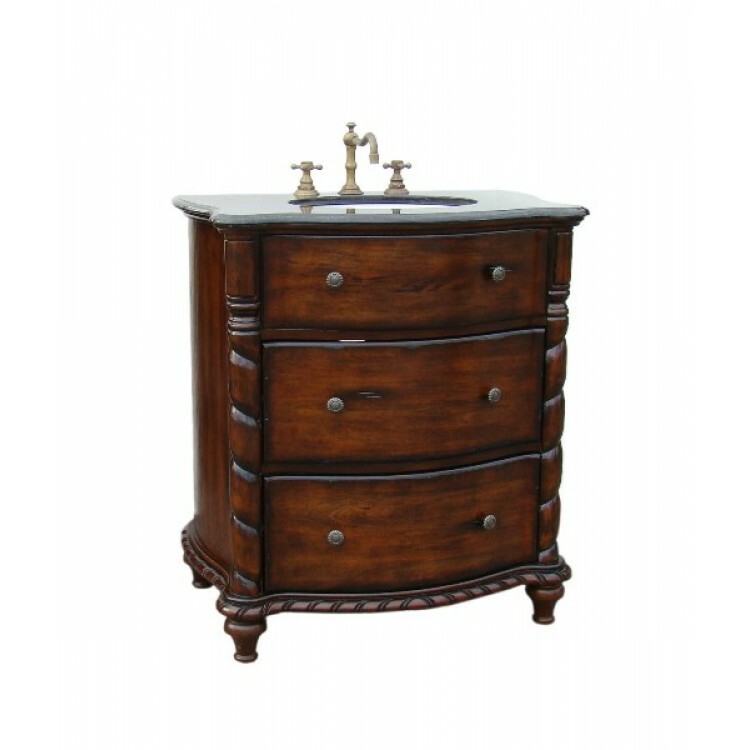 Exquisite workmanship and timeless design are the hallmarks of the Keegan sink vanity. Two spacious functional drawers offer storage space for towels and other essentials. Top drawer has a U-shape cut out for easy plumbing access. Countertop is black galaxy granite with an undermount white ceramic sink. This vanity will give your bathroom an upscale beauty and luxury appearance.